Art and Text as the name might suggest, takes an in-depth look at the use of text in art and examines the way in which text has introduced a new mode of thought to artistic practices. When language is used in art, the letter, the word or the phrase are seen and experienced, and not necessarily read. The language is freed from the page as well as from its received meanings, received forms, and, in some cases, the duties of communication altogether. During the 1960s, it became common practice for modernist critics to attribute a meaning or explanation to a piece of work, but with text now playing such a prominent role, the justification for the artwork’s existence seemed to already be there, written clearly in front of the viewer. In actual fact, many artists such as dadaist René Magritte used it as an anti-art or an «anti-aesthetic sentiment», rejecting conventional artistic standards or even questioning whether or not «art» actually exists. The expansive Art & Language group of artists and theorists, including some of the world’s most respected artists Joseph Kosuth, also reconsidered the possibilities of ‘linguistic art’ and helped push the boundaries of what constitutes art at the time. Jean-Michel Basquiat, who began as a graffiti artist, used text as a «socio-political artistic mechanism». Cy Twombly investigated the process of drawing and its relationship with writing and language. His work often incorporates textual references to Greek and Roman mythology and engaged the techniques of Surrealist-inspired automatic writing, through which Twombly studies the physical act of mark making. 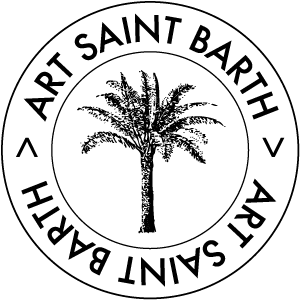 Towards the end of the decade contemporary artists, like Lawrence Weiner, Bruce Nauman and John Baldessari began to use written language as an artwork in itself. Baldessari even began to remove his own hand from the construction of the text, and employed a sign painter to write ironic statements in a lifeless black font that would impact the viewer without distractions. Today, artists are still developing and expanding this prominent artistic medium’s possibilities; Tracy Emin and Jenny Holzer uses text as a means of directly confronting the viewer and provoking an immediate response. 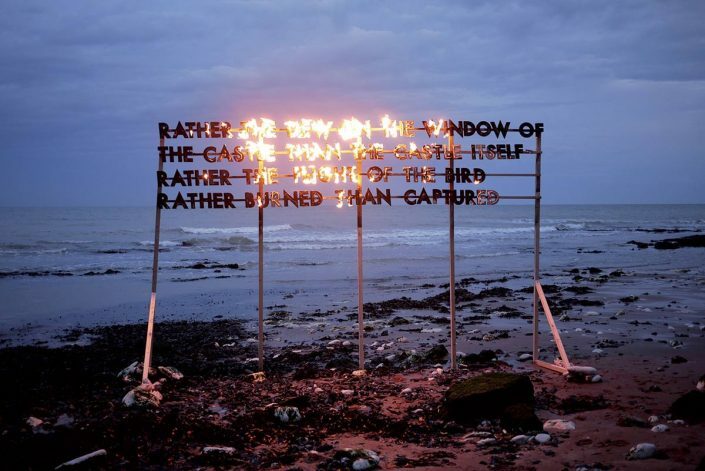 Robert Montgomery works in a post-situationist tradition, intervening in public spaces. There is a profoundly magical moment in his works: In the middle of the street – Old street in London or Harajuka street in Tokyo – we might come across his words and realise that someone is speaking with us – through an anonymous poem between advertising billboards or as an unidentified page in a magazine, or a light installation illuminating the night in La Defense in Paris. But while introducing poetry as sparkles of beauty into the public realm, presenting words as living part of our environment, Robert’s words and works have a tendency to linger in our memory for a long time as they slowly unfold. His poems are an archive of moments that capture the way it feels to live at this moment in time. They articulate, reprehend and simultaneously celebrate our shared experience of modern life. 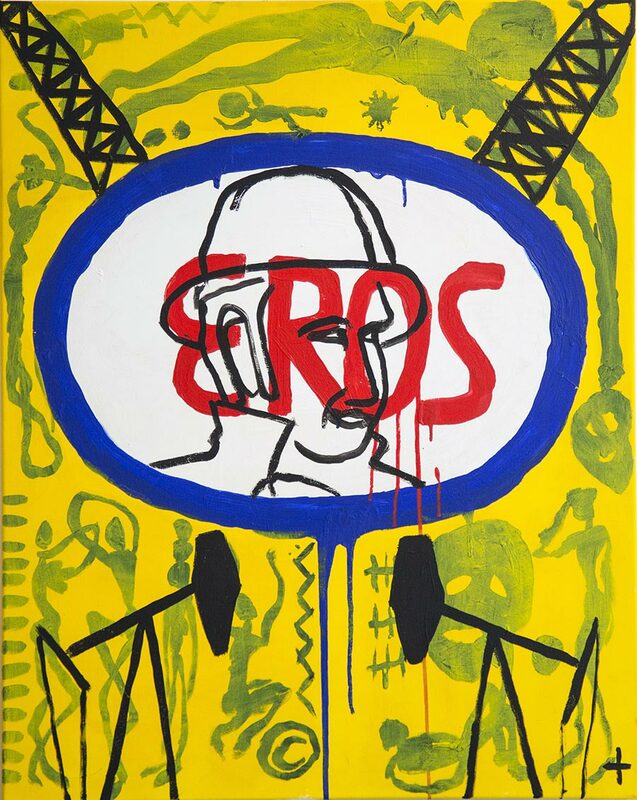 Jean-Charles de Castelbajac was a good friend of Keith Haring and follows the codes and language of Pop Art in a unique way by reflecting amusingly on the future whilst at the same time staying in touch with the spirit of the 19th century. “I’ve always been fascinated by hidden meaning within the language, things that are part memory and at the same time set in the present. 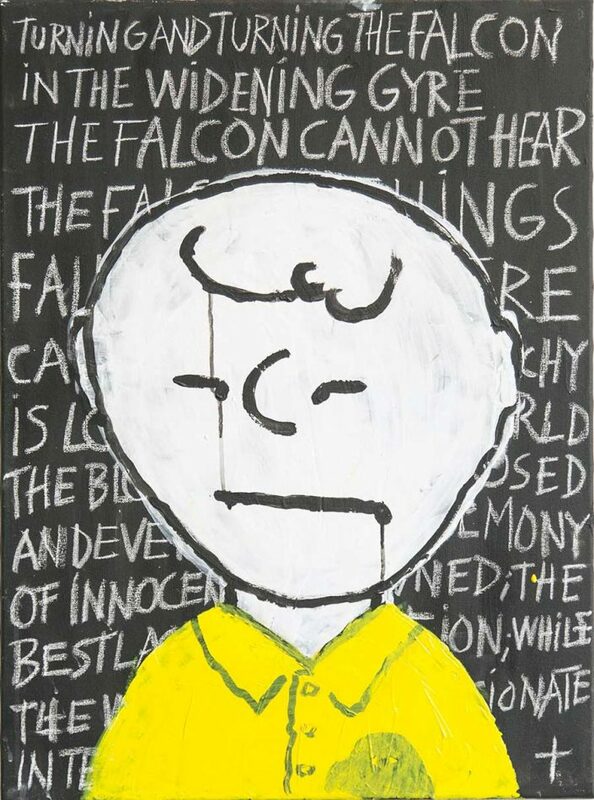 His work is a tribute to the richness of the hyper-pop culture and it’s well guarded secrets. 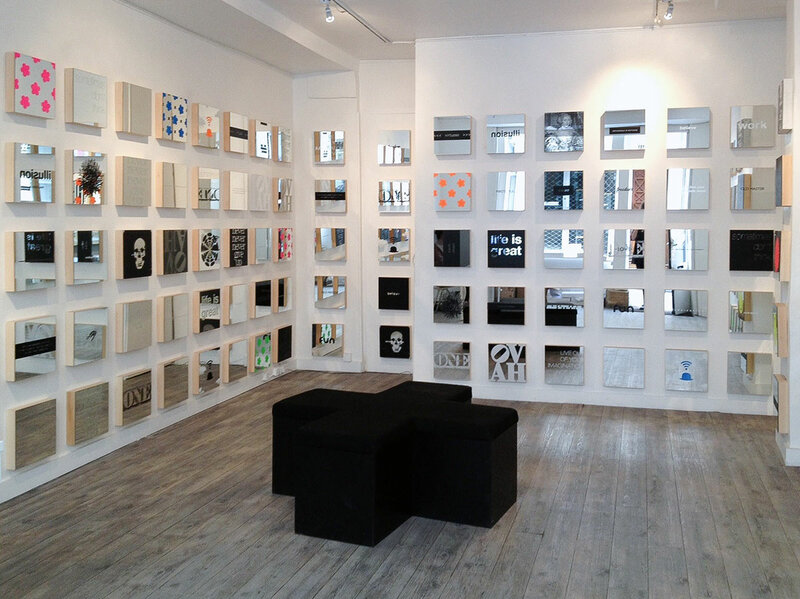 Looking at yourself through one of Blair Chivers “prêt-à-apporter” mirror paintings you’re facing The Power of Positive Thinking. There is considerable scientific evidence that implies art and language can be an influential and positive force, whether you notice it consciously or not. The law of attraction, or LOA, is the name given to the belief that «like attracts like». 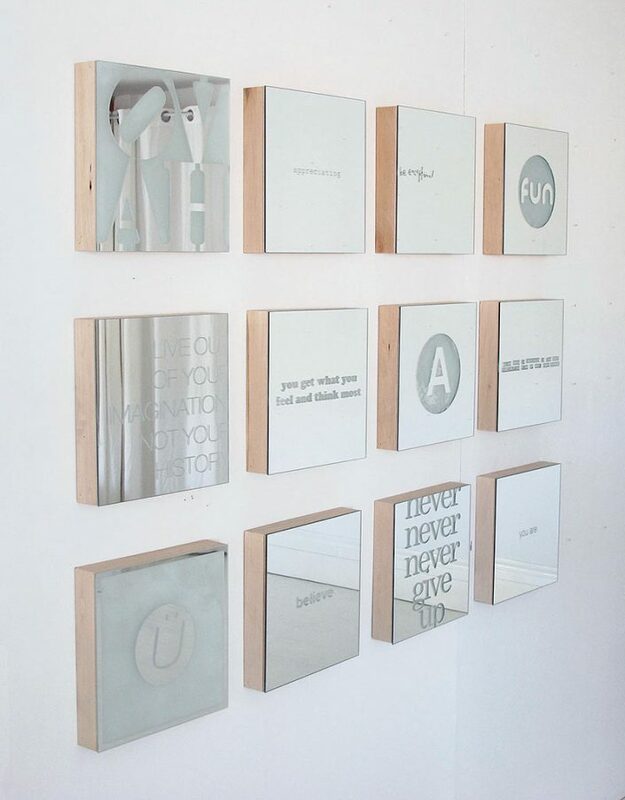 Blair Chivers mirrors with positive messages screened on by the artist himself, is part of a new concept for visual art production that turns standard expectations and beliefs about art upside down. His Manufactured Art, is always open edition – created when desired, in the quantity required. The underlying assumption is that the more advanced the culture, the more accessible the art. Think books. Music. Film.  Advanced culture does not limit art ownership to the first 10 or 1000 people.